Recently I had to relearn a personal lesson about being a composer. Of course I'm not a composer any more - I gave up using that term. I prefer to call myself 'someone who makes up music'. The lesson I had learned during my 'called myself a composer' days was: "Don't enter competitions." With one exception, I never won any. (I'll get to the exception in a minute.) Every time I did enter, in spite of myself, I started to imagine the positive rewards of winning. Fantasizing like this inevitably made losing extra bitter for me. I was bitter enough already. I reasoned that if the only result of entering a competition was feeling bad then I shouldn't enter in the first place. Who needs that? Earlier this year I became aware of a particular competition asking for works not unlike my video Solstice Lights which I was just then finishing. Of course I knew the moment I read the email that if I entered I would not be chosen. I also immediately knew that if I entered, in spite of my best efforts not to, I would let myself fantasize about the benefits of winning. And I knew that once I was informed of my loss I would feel like an idiot for entering in the first place. In spite of all this prudent rationality, I somehow convinced myself to enter. (Yeah, I'm leaving out lots of details. You're welcome.) Turns out, I was right. Solstice Lights was not chosen and I feel like an idiot. This experience reminded me of that exception, my one and only competition-winning piece. I wrote it nearly 40 years ago when I was in college. It was one of my first compositions. (Gosh, I've been writing music for nearly 40 years.) I was in my early twenties. What did I know? I'm not even sure exactly who awarded the prize - some organization with a name like Minnesota Association of Music Teachers. I was chosen in a particular age group. I don't remember there being a prize, maybe I received a small check, maybe not. I do remember that there was an awards ceremony. I chose not to attend the ceremony. I guess I had a bad attitude even then. The piece is for clarinet and piano. I called it Unity and Variety. There are two movements - the first one is entitled "Variety", the second is called "Unity". "Unity and variety" were concepts I had learned in my composition lessons - two opposing qualities which good composers were supposed to balance in their work. The music seems particularly enthusiastic to my older ears. Maybe I'm just projecting that onto the music because I remember how naive I was. 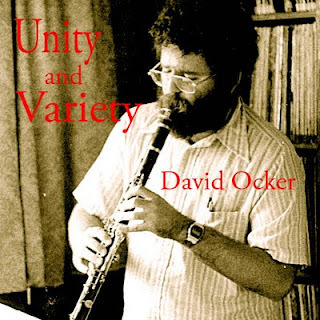 I'm posting a performance of Unity and Variety should you be curious about how an award-winning Ocker composition might sound. Be careful, the performance is strident, not terribly accurate or inspired. If you only have heard my music from the last few years it might come as a surprise - or maybe not. Everyone has to start somewhere. Winning that award probably affected my career decisions right after college. Today, of course, it's totally insignificant, laughably so. I still think it's a pretty good piece - especially for a college kid who barely played the piano and who had virtually no experience writing music. I imagine that it would be fun for me if someone wanted to play this music again - except I'm not even sure where the music is. 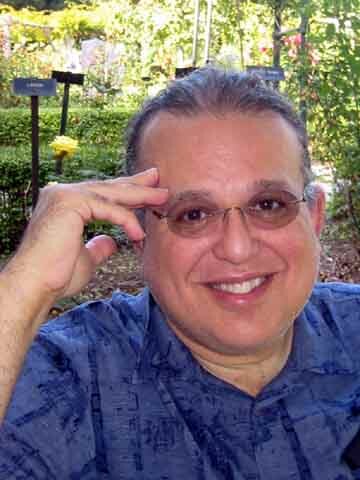 Some previous Mixed Meters clarinet-related posts. It really is a nice piece! You really should find the music and share it with people who might want to play it! Thanks for this post. It is nice to read something honest about the composition contest biz. I have learned the same lesson. Music is not a competitive sport, and composition most certainly isn't a competitive sport. Why did it have to become one? Thanks for sharing. It is quite accomplished piece. You grew rather quickly from here remembering your music from not that much later. I don't think i would recognize it as you.